Clothing/Jewelry Description A green t-shirt, blue or black jeans and black slip-on shoes. Distinguishing Characteristics Caucasian female. Brown hair, green eyes. Bethany was missing her top and bottom baby molars at the time of her 2001 disappearance. She bites her fingernails when she is nervous. Some agencies may spell Bethany's middle name "LeAnne." Her hair was styled shoulder-length with bangs at the time of her disappearance. Bethany has a mole on her left breast and freckles on her cheeks and nose. Bethany's parents, Larry and Johnie Jo (sometimes spelled "Jonnie Jo") Markowski, separated in January 2001. The couple's split was reportedly bitter. Bethany resided with her mother in Nashville, Tennessee afterwards. She spent several days with her father at his home in Gleason, Tennessee in early March 2001. Bethany and Larry were scheduled to meet Johnie Jo at the Waverly, Tennessee exit off of Interstate 40 during the afternoon on March 4, 2001. Bethany and Larry apparently spent part of the day in Little Rock, Arkansas, then drove back towards Tennessee. They stopped at Old Hickory Mall in Jackson, Tennessee at approximately 3:30 p.m.
Larry told authorities that Bethany entered the shopping center alone while he slept in the vehicle. He awoke approximately one hour later and searched for his daughter in the mall. He alerted law enforcement at 5:15 p.m. when he could not locate Bethany. She has never been heard from again. Investigators said that Bethany is not seen on the security camera videotapes filmed at Old Hickory Mall on March 4. There is no proof that she actually entered the establishment. Larry has stated that he is not involved in his daughter's disappearance, but authorities have questioned his version of events. Johnie Jo said that she only wanted Bethany to return home. Several witnesses saw Bethany in the company of an unidentified Caucasian female shortly after she disappeared. A sketch of the woman is posted with this case summary. She is described as being approximately 42 to 44 years of age, 5'4 to 5'5 and 185 pounds. Witnesses said that the woman had dark circles under her brown eyes and her blonde hair was clean but frizzy and damaged. She appeared to be unkempt, like she had not bathed, and her shoes were torn and incorrectly tied. The woman may have been suffering from a hangover. 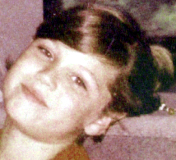 Authorities stated that the unidentified woman attempted to enroll Bethany in a southeastern Tennessee school in April 2001, one month after Bethany was reported missing. The woman was later observed boarding a bus with Bethany. Investigators believe that they may have traveled to Moline, Illinois. Authorities said that they have not ruled out either of Bethany's parents as suspects in her disappearance. 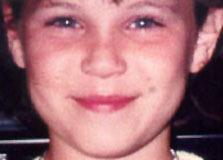 Investigators have also said that it is possible Bethany was abducted by a stranger. Her case remains unsolved. Updated 8 times since October 12, 2004. Last updated February 2, 2014; picture added.